Neil has more than 30 years of energy industry experience across electricity and gas, residential and industry, retail and distribution and strong advocate of improving the quality of engagement in the energy industry. 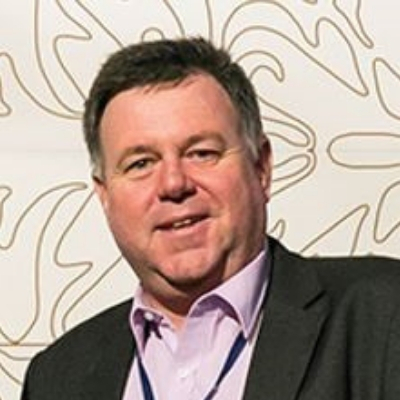 He was recently appointed as Director of the University of QLD, Redback Technology Research Centre, a Joint industry-researcher initiative that is creating and utilising a network of IoT power sensors capable of gathering near real time power data to uncover new insights and opportunities for network operators. The research centre is multi-disciplinary, incorporating researchers in data science, electrical engineering and interaction design. This work will contribute to the creation of data led solutions that enable an effective transition to the grid of the future. Prior to joining the University of Queensland, Neil was the CEO at CitySmart, a sustainability agency dedicated to helping Governments and Corporates deliver upon their sustainability strategies including energy strategy. In that role he drove the introduction of new tools, language and methods for encouraging effective and resonant behaviour change in Australian electricity users. Catch Neil as a panellist for Day 1 Challenge of the Day: Multiple perspectives on the changing energy landscape.